How Do I Find Replacement Parts For My Grill? 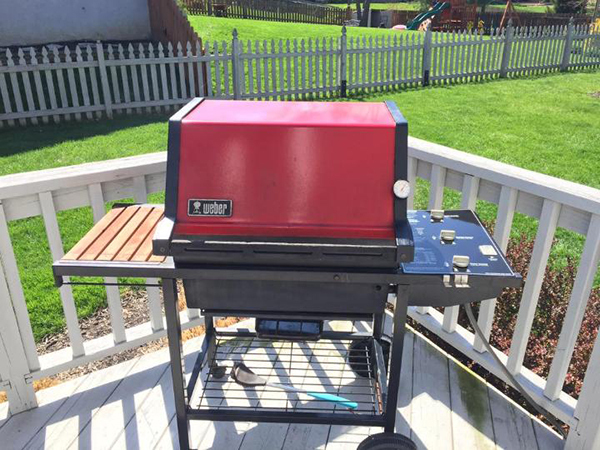 Many of our longtime Weber fans have grills that are 15, 20 even 30 years old and they are still going strong. Over the years various parts on these grills might need to be replaced and we are often asked if there are still replacement parts available. As a general rule, we do our best to keep replacement parts in stock up to 10 years after a grill has been discontinued but often times we carry parts for even longer than that. For example we still carry grates and Flavorizer bars for some of the original 1985 Genesis grills. Most of the replacement parts on our website are for “wear and tear” or more commonly replaced items such as grates, Flavorizer bars or igniter kits. If there is something you can’t find for your grill there is a good chance that we might have it available through our call center. They can be reached at 1-800-446-1071 and are open every day. We encourage you to have the serial number on your grill available when calling. The serial number clearly identifies which model you have and will allow us to know exactly which parts are correct for your specific grill. Click here to learn how to find the serial number on your grill. So if you can’t find what you are looking for on Weber.com pick up that phone and give us a call. We are ready and waiting to help get your grill up and running again or back into shape! Do I Need To Put Water In The Drip Or Water Pan?